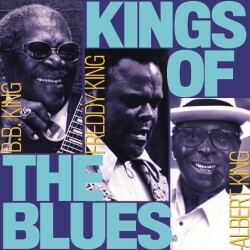 Main Street Blues present an hour of blues from the trio of blues icons known as The Three Kings. Showcasing the greatest blues songs by BB King, Albert King and Freddie King, the show includes classics such as The Thrill Is Gone, Born Under a Bad Sign and Big Legged Woman performed with Main Street’s energy and flair. Main Street Blues features acclaimed Scottish Blues guitarist Derek Smith and Iain Hanna on keyboards. ‘Simply first class’ (Press and Journal). 'So tight you couldn’t slide a Rizla between them. Great gig’ (Ian Rankin).